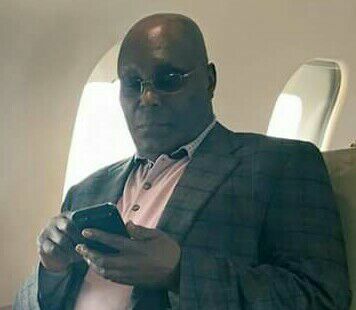 Again, former Nigerian Vice President, Atiku Abubakar has reiterated his ealier call for restructuring of country’s system, saying it is inevitable. Delivering lecture at the Memorial Conference of the former military Governor of the defunct Northern Region, Late General Hassan Usman Katsina at the Murtala Square, Kaduna on Saturday , Adamawa born politician noted that the fragile unity of the current is been threatened with sentiments. Alhaji Atiku advised the North not to shy away from the negotiation, but should be present at the table to have input and know how it moves in the interest of the region and the country at large. He said, “I am not trying to be a messenger of doom but to alert us to the serious challenges ahead if we do not take immediate corrective actions both in our economic and our politics”. He further stressed that devolution of more powers and responsibilities to the federating units with the resources extended on them will be helpful to the economic and socio-political recovery as well as development of the North in particular as Nigeria needs same. He advocated for a revisit of the current geopolitical zones to becoming the federating units to stop the clamour for creation of additional states as the federating units can decide to have as many local authorities as it deems. “As our history has shown, a strong centre does not translate to a strong and better base. We should begin to think strategically about how to develop this region (North) as a collective and our states in each geopolitical zone should embark on how to work together to share responsibilities”, he suggested. He noted that it is a mistake for the North to think that restructuring of the polity will be a mistake, pointing out that as long as the federal government continues with over-riding power; there will remain instability. He affirmed that national integration is achievable in Nigeria when we (North) do the little things that will help in that regard including intangibles as values, ideology and sense of investment that help to foster sense of national integration, “these are more effective than forcing or bribing people to stay together”. “I suggest we resolve today to support calls for the restructuring of the Nigerian federation in order to strengthen its unity and stabilize its democracy. I believe that restructuring will eventually happen whether we like or support it or not. “The question is whether it will happen around a conference table, in a direction influenced by us (Northerners) and whether we will be equal partners in the process. Or will it happen in a more unpredictable arena and in a manner over which we have little influence? He asked.